To finish a delicious cake which in this case, by failing to take note, we do not remember the exact name. Coffee and liqueurs offered by casa.Tutta dinner was excellent. Price for two people 152 euros. The price seems to be appropriate for the environment, quality of food and service. From Oliviero ranks among the top positions in our own ranking of preference, just after the restaurant Borgo San Jacopo . 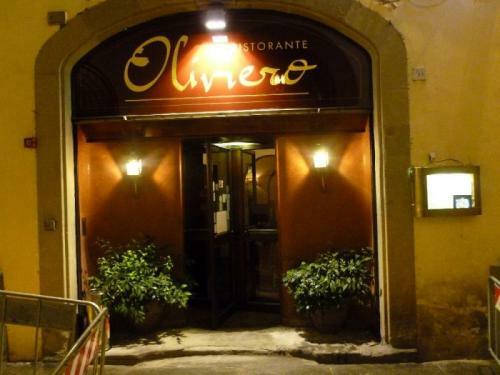 In the Ristorante Da Oliviero board you found the pictures taken during the evening.